There is a movement within Starbucks to put more labor on the floors. Some partners are campaigning for this change. But let me back up. Things have changed. My earliest memories of Starbucks go back to when it was a small business. I recall in the very early 1990s, walking into the Oak Tree Starbucks and getting a lesson on why a French press is a great way to make coffee. I was baffled. I’d never heard of making coffee without a paper filter. All I knew was the Mr. Coffee way to make coffee. I had only come in for filters. The partner stepped off the floor and spent a solid 10 minutes with me explaining why a French press was so awesome. I walked out with paper filters. I was unpersuaded by the French press education. Today, the idea the a partner could step away from the bar and spend a full ten minutes just talking to a customer about a French press seems far fetched. Why? Because labor is so tight in the stores. Coffee tastings in the store? Not likely to find them. One store manager confided in me that he didn’t think he could have the time for coffee education – such as regular store tastings – without using some of the store manager admin time for coffee education. I’m writing about this because I genuinely care about what’s happening inside the store. Make no mistake, I still have high expectations for the customer experience. I believe in it. Starbucks’ own research shows time and time again that the partner-customer connection, and the gold standard customer service keeps people coming back. But how can partners deliver that experience without a moment to breathe and connect with customers? Maybe you’ve noticed this at your neighborhood Starbucks: the baristas are chasing beeping things, making drinks, trying to get to the lobby, prepping whipped creams, and juggling many more things, all at once. Or maybe you haven’t noticed this. You’re not even seeing the behind the scenes demands: managing inventory, developing partners to grow with the company, education and coaching, deep cleaning the store, scheduling, keeping current on ever-changing promos, and much more. Nobody asked me to chime in on this. I’m simply here to say that I support the idea of putting more labor in stores and doing what it takes to create an amazing partner experience. The above essay (“Lack of labor is killing morale”) written by a partner has already stirred the company. From what I know, the Starbucks Senior Leadership team has taken an interest. It wasn’t too long ago that Starbucks tackled the issue of how Starbucks partners are scheduled their shifts, including eliminating the phenomenon of a close-open shift. Maybe now is the era of tackling stretched-too-thin store labor. Yes, you need more labor. Yes, you need a great partner experience. Starbucks annual meeting 2013: Melody’s roundup! It’s true. The things that I desperately want to be the soul of the company I love are getting pushed aside because there isn’t enough time. Products keep getting added, nothing is deleted, and we keep hearing do more with less. This is on point. This has been a big big struggle in my store as we’re having to rush to get out closing tasks done while being demanded to clock out at our scheduled time regardless of what is or isn’t done. Leaving a half decent close for the morning crew which isn’t fair to anyone. It creates more stress while hearing a nagging store manager who asks why specific tasks haven’t been done or why weekly tasks have also been pushed aside. Customers have noticed a difference. Great blog! We need this change its people’s livelihood, and I’m a burnt out shift supervisor. oh, melody, this is so true! i left Starbucks after almost 8 years because i had become demoralized by the steady decline in the culture, and a capitulation to the consumers’ demand for speed of service over connection. i am an amazing multi-tasker, but what was expected of me as a partner–chasing beeps and dings because we didn’t have sufficient labor–made it impossible for me to do what i LOVED and what had made the job a transforming experience for me: connect with customers. Starbucks has forgotten that it created and defined the Third Place, where people in a community came to be known and seen. i’ve seen how that can impact lives. instead of reeducating its base, it has elevated the consumer’s wants over its partners’ capacity and its values. Starbucks is a fabulous company and donning the green apron changed how i view the world. adding more labor isn’t going to solve the problem; the partners will have to be retaught that connecting with customers is primary to being a successful barista. it’s going to take some effort, but this ship can be turned around. I hope this gets heard. You said exactly how I feel. I LOVE this company and my job., but more times than not I leave work feeling defeated. I am not taking my breaks to ensure my job is getting done and that my partners are taking care of. I was with Starbucks for two and a half years as a Shift Supervisor and left partly due to the frustration of never having enough labor. My closing shifts where we were supposed to get out at 10:30 often turned into nights where the few of us left to close up didn’t leave until close to 11:30. It was exhausting and frustrating – we were penalized if we didn’t get all of our work done, and penalized if we went into overtime hours. It was an impossible mess. When a new opportunity came up, I jumped at the opportunity to leave. Though I miss my team and loved my time with Starbucks, I don’t think I could ever do it again unless something changed. As an exhausted shift sup. YES. I drill the customer experience to my new partners, but it’s so hard to make that much needed connection when you’re running a floor that needs 4-5 with 2-3. I love talking to my customers. I love watching my partners find that special feeling when it clicks for them and they see what it’s all about for themselves. I also am a coffee master, in charge of the coffee culture at my store, which is currently non-existent because we haven’t had the labor for months to smooze the customers with a fun coffee tasting, or an educational tasting with my partners, new one’s especially, so that they know what they’re being told to try to sell. It breaks my heart, but this happens Every. Single. Year. And I feel like essays and petitions may help for the remainder of the fiscal year, but may not fully stave off the cuts next year when the BUX doesn’t see high end returns that they look for in the stock market, because we are an ever slowly growing machine. Maybe starbucks should stop trying to grow the amount of stores they have country wide, and try to focus on the partners they already have who are in love with their job, but getting tired of jumping back and forth between enough hours, and considering looking for a second, if not different job entirely. They have 15 plus year partners that were fine, but are now being forced to take out money fron 401K’s early just to make mortgage payments, and there’s something wrong with that picture. I definitely think your thoughts and words hold real weight with Starbucks, at all levels. You know personally many of the powers to be, and I’m sure conversations with you regarding this would be listened to. We should share, share, share this article… who knows who might see it. I agree with you, by the way… morale is down, and possibly this one thing could go a long way in helping that. So how in the world are the Baristas to keep up with constant additions, corporate ideals, and more demanding customers? The simple truth is, they can’t. I can only surmise that Starbucks has decided that their average customer is in-a-real-big-hurry-these-days and that fast service with convenient drive-up window and constant “new” menu items is the fuel that drives their bottom line. If you want yesterday’s cafe on the corner – like the bar on that old TV show Cheers “where everybody knows your name and they’re always glad you came” – then perhaps it’s time you look elsewhere. Now Starbucks is HUGELY successful because of what it is today… but my teeny-weeny 2-cents is that they should always remember this: really GREAT COFFEE + Customer-service focused BARISTAS is what got them there. It wasn’t green, black, white, or berry tea, fancy-dancy donuts, meals, snacks, drinkware, etc. I left the company (as a store manager) two years ago. Labor was one of the reasons I left. We had rolled out the new scheduling system, and I was one of few managers posting schedules in a timely fashion, running labor to standard, and generally understanding how to use the tools. I was constantly asked (ordered really) to cut labor to make up for my peers’ shortcomings. I didn’t feel this was fair to my partners, nor me. I wanted time to roll out more coffee education and expanded training for my partners, and I was constantly told no. Now as a customer, I have seen both sides of this coin. I have been in filthy stores, where multiple partners are sitting around talking. I have sat in a lobby for hours drinking my coffee, and never once seen a partner step from behind the counter to clean up. I feel like busy drive thru stores are focused so much on the window, that they ignore the café customers. They are putting profit over the experience. As a former Starbucks Manager of 13 years (I left in 2008), my in-store experiences have not been all that positive over the past few years. It’s to the point that I go to a competitor. I do not like that the partners do not seem to get any coffee education anymore. Being a Coffee Master and having been a classroom facilitator, knowing the coffee basics was always something I drilled into my partners. When I go into a store now and ask for a coffee by name it is always repeated back with “dark” and if I ask the barista about the coffee I get a look of horror creep across their faces because they can not answer my questions. It does look like there are fewer partners behind the counter and teaching these things does take time…and in my opinion more labour is definitely needed. Come on Starbucks if you really care about your customers and their experience’s review your labour practices! I’m a burnt out shift supervisor as well. Ive been dealing with 2 person floors for the last couple of weeks which isn’t even enough coverage to deal with the lines, let alone having any meaningful conversations, completing all my cleaning tasks, coach my partners, put away our inventory orders, monitor our food (we have to pull each individual pastry from the freezer and leave it to thaw overnight, it can take about a half hour, which when it’s just you and one other person is impossible to do) do dishes, change trashes, keep my lobby/bathrooms clean, and all the other expectations that are put on me. And to be clear I’m not dealing with a 2 person floor at a slow store – we’re very busy up until close. I am also expected to cut even more labor throughout my shift and am often told I am over in labor for the day. It’s only going to get worse because we are all exhausted now from being stretched thin these last few weeks. I haven’t been able to take my breaks some nights because it’s too busy for me to leave the floor; or I’m the only partner with enough experiece to handle the bar when it gets backed up; or its just me and one other person all night. This does not even include all the random promotions they throw our way at the last minute or the new drinks that require new components that we have to find room for in our fridges/counters and which require us to prep throughout the day (three different kinds of whipped creams, two premixes for our granitas, three teas, iced coffee, cold brew, 3 refreshers, toppings, syrups etc). 2 person coverage doesn’t allow me any time to make these components should I run out of them. This is just a simplified part of what is expected of us during a shift. . Your story about the French press is telling. Not only do partners not have the capacity to step off the floor and educate a customer on a French press, my store doesn’t even sell French presses! Coffee is our middle name! Bring back the coffee culture to all stores, not just reserve. I feel strongly that there is a leadership problem. There is a big difference between working for a DM who has risen through the ranks and one who is an outside hire. Who is left that knows and understands the heart of the company? Who will step up and say something when things are going off the rail? I watched some seriously disreputable behaviors from retail leadership in order to tow the company line and bring in numbers. I watched them be rewarded for it. Recognized for the numbers, the shameful behaviors used to get there swept under the rug. It made me pause, and say, this is not my company. This is not my dream. I had stood at heart of the company and crafted the finest beverages, side by side with starbucks leadership. I felt the dream so strongly, and then had it all shattered in front of me. Dear starbucks, if you are reading this, please take pause. This is not your company, this is not your dream. Something has disconnected. Something has gone wrong. You are better than this. You have a backbone, an ideal. You made me leave my career and follow my passion in coffee. You inspired me. Please take pause. Exactly right. When I joined Starbucks many years ago, being that Third Place was so central to what we did. Some newer partners may think your description of spending 10 minutes in the lobby with a customer is a thing of fairy tales or doing a random coffee tasting with a table customers…but that is what we did and were encouraged to do. It was wonderful. We had holiday parties in our store to which we invited our community and they would come and we would sing songs together as partners would play their guitars and the kids would be doing crafts at a table with partners helping them. Ahhhh the memories. And memories are all that they are. This is no joke: not all that long ago, I was connecting with a customer at the condiment bar after fetching them a special request. They began asking me questions about myself and I, of course, was delighted to engage with them. It happens that our DM was in the store. My store manager scuttled over to me and sternly said “(Our DM) wants to know why you are spending so much time talking to the customer!” My response: “I thought that was my job!” I’ve discovered that I was wrong. No. Customers are now not our community, but those folks that we frantically drive like cattle through our cafes and drive-thru lines while we add more and more offerings served by fewer and fewer partners. Morale is low? Absolutely! I tell our new partners that I am sorry that they will never know just how great a job Starbucks could/should be. Its a crying shame. You totally described my nights as a shift! What bothers me the most is that I want to do a great job and leave my morning partners set for success but it is physically impossible in the time and labor allotted. Wow! Adding more labor into stores is long overdue and I sincerely hope Starbucks does to benefit both partners and customers. In my experience, being stretched too thin can make partners not only loose faith in the company and morale, but do things they would not otherwise do. For example, as a partner, if you only have 5 minutes to clean a messy bathroom then you might not take the time to refill soap, dust, or properly sanitize a toilet. As a manager, if you are under pressure to have perfect labor or to come in under goal you might feel you have to run the floor during certain day parts understaffed or work off the clock yourself if you can’t space any more admin time. I worked at Starbucks for over 5 years and absolutely LOVE the company, but issues with labor are directly related to why I am not working there anymore. I often reminice over my time as a partner, but I will never miss the stress of scheduling and running my store to meet the strick labor goals that I knew were taking the joy of the Starbucks out of my partners, customers, and my roles. Starbucks, please add more labor for sstores to use during all day parts, training, and manager/shift admin time! You will retain more quality partners for longer if you do! P.S. Melody, I love you! So what’s next for Starbucks? Will they return to what made them great in the first place? Or is yesterday’s passion and vision no longer profitable and viable to those behind the curtain? Oh they can plant trees, that’s great, generous and green; yes all that. But if they ignore their core and employees imminent needs at their stores, all the tree planting in the world won’t bring back the experience. Is Starbucks looking ahead to add automation (robots) like so many pizza/fast food joints are busy designing now to eliminate a big chunk of their “lean & mean” labor machine, all in the name of speed, product control, and (more) profits? I dunno, but would not surprise me. Drive-ups are likely going to be here for quite some time due to profit. Do those in the line care if a machine or person makes their drink? Or is “Just make sure it’s how I want it and get it to me fast” what matters most? Both young and older people recognize that some “old-fashioned” things still have value, that “new” is often not better, in fact even worse. Perhaps one day some folks like the ones on here will team-up and open that stand-alone cafe with old-time flavor that knows your name and really is glad you came. 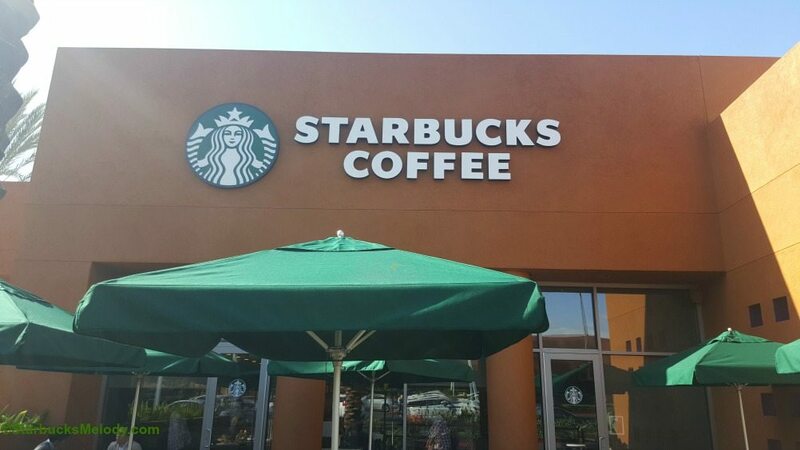 Perhaps the plain truth is that Starbucks is just way too BIG to connect personally to their customer. They have evolved so many times in so many ways over such a long time, not just to survive but to thrive. Please forgive me for just being a long-time customer and not an employee on this thread. But I have witnessed this change first-hand on the other side for a very long time, and while most Baristas try to do all, while being all to all, they just can’t. Fast-talking out-of-breath to their earpiece or to customers taking forever to decide what they want from an ever-growing menu selection, a crammed loud “pretty crazy” work space with @ times a frigid icy chill or sizzling heat & hot fumes sifting in from running autos thru an open window… then they are expected to know all about the latest offerings, do a deep cleaning, keep the bakery display window clean & free of fleas, microwave food, open/unpack/put away supplies/merchandise, throw-away trash, rinsing/washing, and countless other things… with constant friendly smiles on their faces, then somehow find time to run out on the floor connecting thru-out their shift with customers while they have to dance around like chickens with their heads cut off? Ain’t gonna happen. I sincerely feel for ALL of them. There is not a labor movement to add labor, but to reduce all US based stores weekly labor by 20/hours a week. This went into effect on June 20th, and will be a practice until further notice. I don’t know about this leadership interest in improving labor. My SM got a phone call from corporate ordering her to cut hours. Half of us rely on benefits. I am so lucky that I have found better paying work. This kind of treatment is losing the company, dedicated, passionate partners. I avoid busy downtown (Portland, Oregon) locations for that very reason. Partners are demoralized, often rude, often fill orders incorrectly. Certain details get neglected, like filthy restroom with no toilet papers, or overflowing trash/recycling (nobody seems to bother which one is for recycling, either!). I believe one of the key problems in how Starbucks operates retail locations is that it’s stuck in the 1990s. Not much had changed substantially since when I first stepped my foot into (First Hill, Seattle – before it moved across the street to the Swedish Medical Center – it was a tiny storefront next to what was known as Diamond’s) in September 1992. Basically all partners are still required to be trained and perform all types of tasks, as a barista, cashier, janitor, and even security guard. The division of labor is necessary for today’s Starbucks especially at busier locations, like in many fast-food companies such as McDonald’s (cashier, line cook, and janitor are separate positions). Because Starbucks has to train each partner to the level of coffee master, the company cannot afford quick turnovers and cannot pay certain workers less — all leading to increased labor costs and inefficiency in the end. It is a weird situation. As an ex-partner, I fully believe Starbucks is only showing that they care because it has become a PR thing. Same with the labor/scheduling thing. No one really cared, bad SMs would schedule badly, until it became a New York Times article. Even now, some SMs still don’t really care – it’s just the system forces them to try and care / or just pencil someone in as a closer / opener. Same goes for labor. I remember, at the Texas Leadership conference, 10,000 managers coming together and one of our biggest complaints was not enough labor. This was, what, 4 years ago? The one before that, I would bet money that labor was another thing SMs were talking about. Both times, the senior leadership said “We hear you about labor! we get it!” but I got the feeling that what was not said in that sentence by Cliff Burrows was “we don’t really care” because over the years labor has gotten tighter and tighter and tighter. I remember when I first started, and it was too much. Too many non-coverage hours being spent all over the place, but damn, some of it was useful. Having time off the floor, a freaking hour, to do a big store order ? That was wonderful. When I left, it was more like 15 minutes while still technically on the floor doing the order asap before the cut-off time and before it became too busy without you. If you want to see an example of what having enough labor can do to a store and the partners, check out some of the flagship stores. I’ll bet that Melody would say the Roastery doesn’t seem to have a labor issue – and that partners are friendly and happy. Same goes for the other giant stores (disneyland) most of the partners are happy, lots of labor, lots of people on the floor. Those are a great example of what “could be”. So true but this was in the wind years ago. When I was managing fiv years ago all new promos stressed the fact that no extra labor hours would be allotted for bogo days or set-ups or anything. As far as raises, it took one of my partners almost 5 years to get a $1.00 increase over hiring pay. I was sick and tired of having to justify to my DM and Regional Manager giving anyone a 3 on their review. One time I was told that I gave out too many. Sorry, my partners took a store that was in the red to an almost million dollar store in just a little over a year. Guess what? They deserved more than a damn .15 an hour raise. More floor labor gets more transactions, less stressed partners, less turn over, lower training costs. And for goodness sake, take the time to train newbies. It’s way to overwhelming to get thrown to the wolves. All it does is create resentment on both sides of the counter.